Canon is celebrating the tenth anniversary of its iconic EOS 5D series of cameras. Launched in 2005, the EOS 5D transformed the digital single-lens reflex (DSLR) market. It was the first advanced non-professional DSLR to incorporate a full frame CMOS sensor (35.8 x 23.9 mm). Available at a competitive price, the camera enabled enthusiast photographers to utilise the camera’s impressive image quality and creative photographic tools that traditionally had been unique to professional DSLRs with 35mm sensors. As such, it contributed to the widespread adoption and success of full frame sensor cameras. The EOS 7D Mark II camera (launched in October 2014) has been honored with two prestigious Camera Grand Prix (GP) Japan 2015 awards—'Camera of the Year' and 'Readers Award'. In addition, the EF 11-24mm f4L USM lens (launched in February 2015) was selected for the 'Lens of the Year' award. The Camera Grand Prix (GP) Japan awards, considered one of the most sought-after camera and lens product awards in Japan, are organized by the Camera Journal Press Club, comprising journalists from major photography and camera magazines in Japan. This year marks the award's 32nd time to be held. With Canon's latest summer promotion you can get up to up to £50/€60 cashback on selected products in the UK and Ireland. The offer runs from 20 May to 19 August 2015 for eligible products purchased from UK or Republic of Ireland retailers (terms and conditions apply). 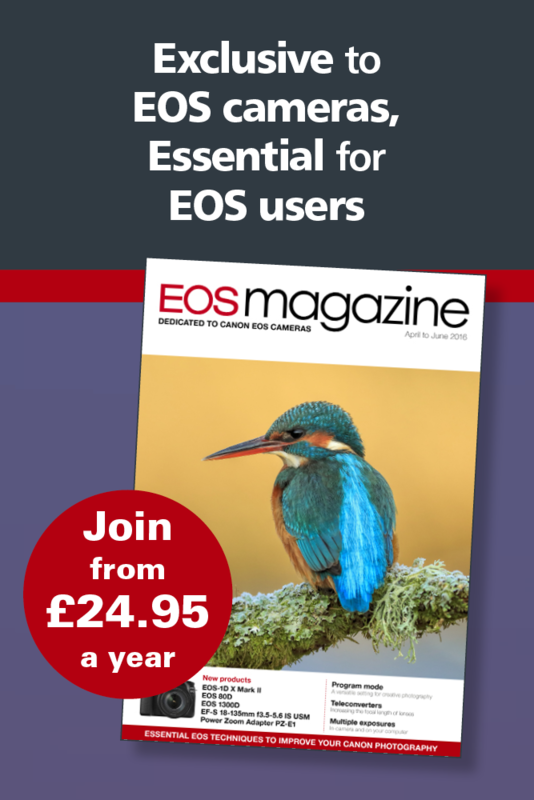 In January 2009, Canon acknowledged that the main mirror of some EOS 5D Digital SLR cameras could detach due to deterioration in the strength of the adhesive.They offered a free repair service for affected products. Reinforcement parts are attached to the right and left sides of the mirror . Canon has now announced that the free-of-charge repair service will end on 30 September 2015. If you have an EOS 5D with a detached mirror, now is the time to get it repaired. Use the link below to find your nearest Canon repair centre. Canon Japan has released an English version of PERSTEXT for the United Kingdom, the United States and Australia. PERSTEXT is a free iOS application that provides users with a new way of having fun with their photos. The Japanese language version of PERSTEXT debuted on November 5, 2014 and by the 22nd of the same month reached the number one spot in the free Photo & Video category of the Japan App Store. PERSTEXT lets you insert dynamic text into saved images, which can then be shared with friends and family via popular social networks, or a printed copy. By enabling the simple creation of images that convey messages with a touch of flare, the application offers new methods of expression and communication. Canon has announced the EF 50mm f1.8 STM, the successor to the popular EF 50mm f1.8 II. The new lens is ideal for portraiture and low-light photography. It can also add an artistic edge to everyday objects and settings, thanks to its wide f1.8 maximum aperture and 50mm focal length. The EF 50mm f1.8 STM features an improved design, Canon’s super spectra lens coating, a 7-blade aperture and STM technology for smooth, near silent focusing. It is compact, lightweight and affordable. Canon has acknowledged that there is white spotting on an optical layer in front of the image sensor in some of their EOS 750D and 760D cameras. Under certain shooting conditions, the white spots on the optical layer of image sensor may result in dark circular patterns on the captured image. However, cameras that have a ● mark inside the battery cover shown in the figure below are not affected even if serial number as above. Potentially affected cameras will be inspected and repaired free of charge, regardless of the warranty status. The inspection and repair service will begin on 20 May 2015. Canon has launched of a series of downloadable and app based city guides that offer fresh perspectives of six cities across Europe - London, Paris, Madrid, Berlin, Milan and Amsterdam. The guides invite people to take a fresh look at familiar landscapes and encourage the discovery of hidden locations from unexpected angles.